Real studio performance onstage: the large-diaphragm capsule of the MTP 940 CM lets your voice be heard in infinite detail and authenticity. Every sound source is reproduced clearly and authentically - while undesired feedback, breath, popping and handling noises are effectively reduced to a minimum. The MTP 940 CM boasts an impressive dynamic range and an unbeatably low self-noise level, making it ideal for studio work. Real studio performance onstage: the large-diaphragm capsule of the MTP 940 CM lets your voice be heard in infinite detail and authenticity. Every sound source is reproduced clearly and authentically - while undesired feedback, breath, popping and handling noises are effectively reduced to a minimum. The MTP 940 CM boasts an impressive dynamic range and an unbeatably low self-noise level, making it ideal for studio work. Three switchable polar patterns ease recording of the most diverse sources; from vocals to acoustic instruments and everything else that you are used to recording with a large diaphragm studio microphone. A three-step low-cut filter makes it possible to directly influence the proximity effect, while the mic's three-position pre-attenuation guarantees clean signals even in high-SPL environments. Switchable LEDs allow you to check settings easily when it is dark . The mic’s extremely stable and rugged construction can take even the roughest everyday touring knocks. 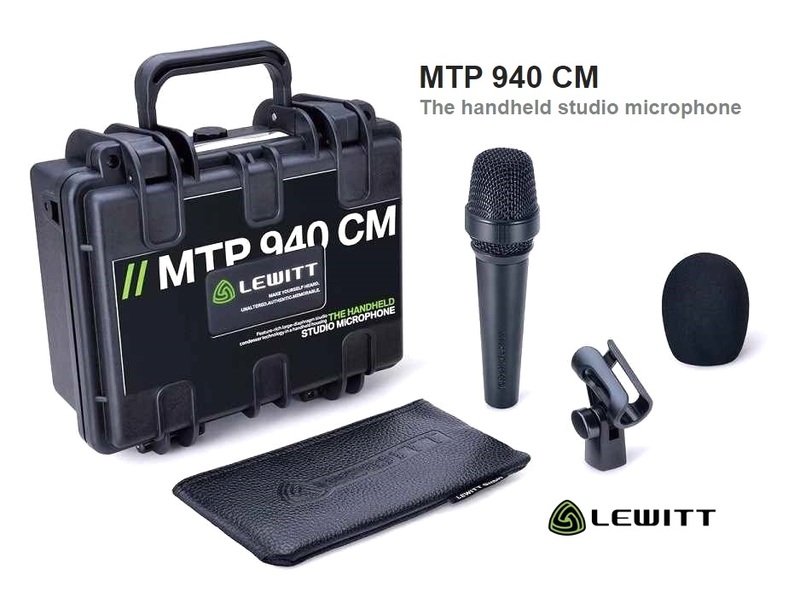 For everyone who’s always dreamed of taking a high-end studio mic onstage, or having a handheld microphone for the studio, the MTP 940 CM is the perfect choice.